The playoffs are over, and most of the dust has settled from free agency. That leaves us with the Summer League, a time where we can catch our first glimpse at the future stars of the NBA. But with every star, there are a handful of busts. 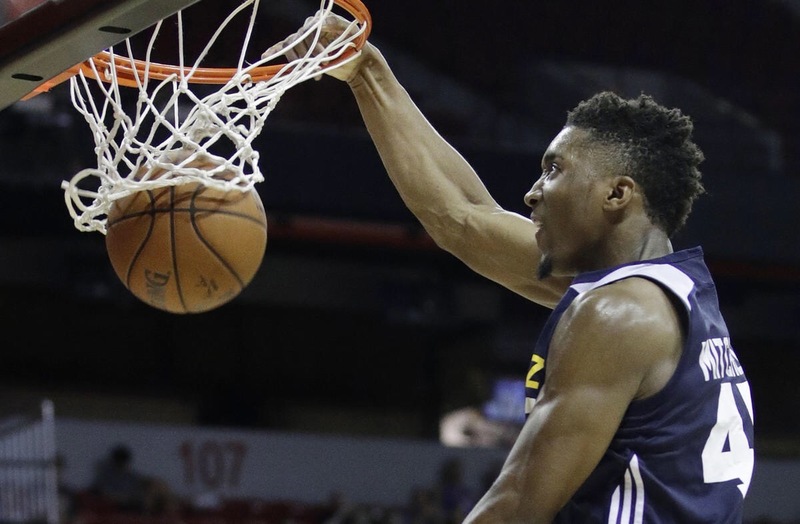 Here are our takeaways from this year’s Summer League. Fans were shook on Monday when Miami’s Bam Adebayo exploded against the Pacers for an incredible 29 points and 11 rebounds. The 14th overall pick was expected to be a project. Scouts cited his 6-foot-10 size as a problem at the five spot, but Adebayo shrugged off the doubt and balled out. Critics quickly turned into fans as the Kentucky alum caught alley oops, dominated the boards and even euro stepped defenders out of their shoes. Adebayo averaged 17.5 points and 8.3 boards in his four games in Orlando, even receiving comparisons to Dwight Howard (not the Howard you see today, of course). Whether the Adebayo can maintain this level of aggression amongst the trees in the NBA remains to be seen, but Miami has to be happy with its first-round pick thus far. Isaac averaged 10.3 points in his three games in Orlando – an underwhelming total due in part to a slow release and a lack of physicality. He did manage to throw in eight rebounds, which is a strong total for a player at the wing. Isaac is arguably the best defender out of the 2017 draft class, but the edges are still a little rough on offense. 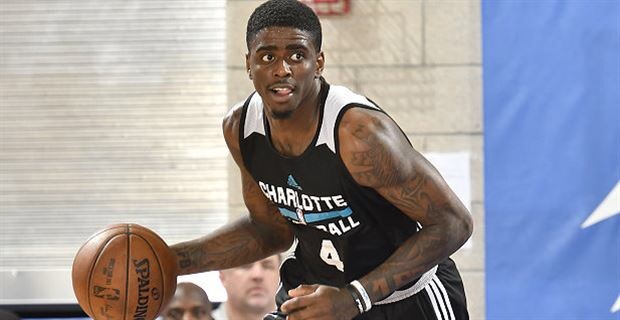 The stars aligned for Dwyane Bacon this Summer League, and the No. 40 overall pick took advantage. 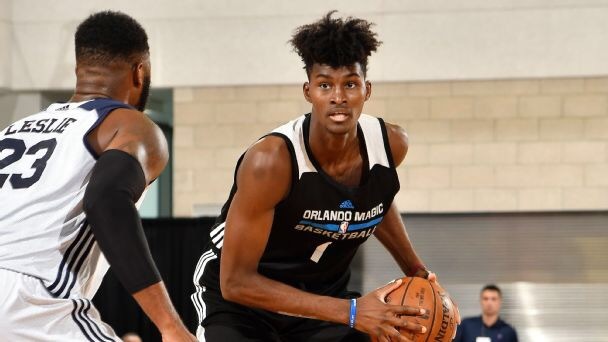 After being traded from the Pelicans to the Hornets, Bacon found himself in the shadow of the 11th overall pick, Malik Monk. But after suffering an ankle sprain during a draft workout, Monk was forced to miss the Orlando Summer League. The Hornets turned to Bacon, and he was, dare I say, crisp. Bacon exploded for 29 points and eight rebounds against the Magic, constantly driving directly into the heart of the defense and finishing with an array of moves that would make Kyrie Irving proud. The former Seminole’s performance even earned him a three-year deal (two years guaranteed) with the Hornets. Monk’s spot on Charlotte certainly isn’t in jeopardy, but it’s always good to see a second round player make a name for himself when he gets his shot. Dakari Johnson is a grown man. The 2015 No. 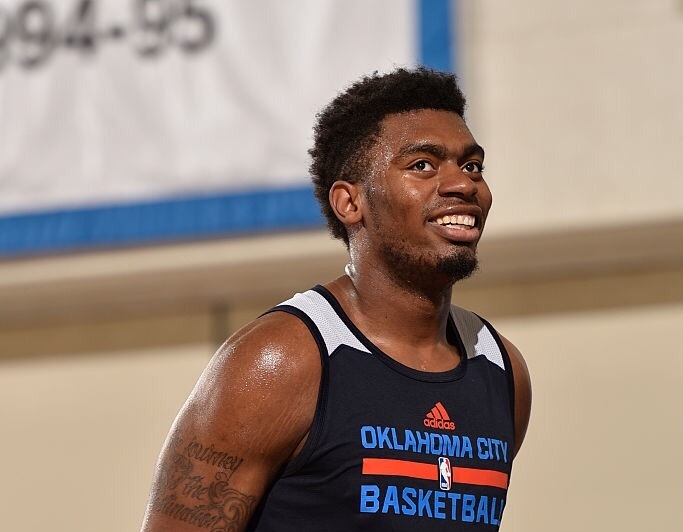 48 overall pick spent the past two seasons with the Oklahoma City Blue, the Thunder’s development team. Johnson dominated the D-League, averaging 15 points and eight rebounds in those two seasons and even making the All-NBA D-League First Team this past year. That experience showed in a Summer League filled with rookies. Johnson averaged 18 points and 5.5 rebounds in four games, controlling the paint with an unmatched level of physicality. The seven-foot bruiser even tried his hand as a point center, dribbling down the court and driving to the rim. The Kentucky alum is still waiting for his number to be called up by the Thunder, and his Summer League performance makes a solid case. 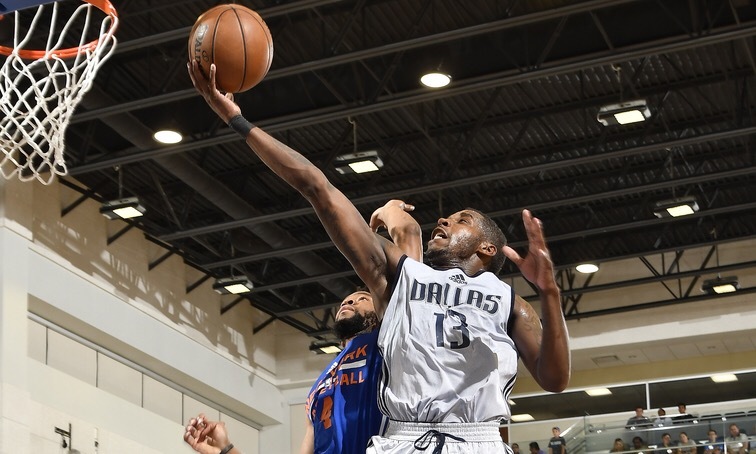 The rise of Dwight Buycks is one of the better stories of the Summer League. Most people didn’t know who Buycks was a couple of weeks ago, but he made a great first impression in Orlando, averaging 17.8 points in four games. His best performance came when he exploded for an eyebrow-raising 28 points against the Pistons. The surprise been a long time coming for Buycks. The Marquette alum went undrafted in 2011 and found himself bouncing around from country to country in an effort to keep playing basketball professionally. Since 2011, he’s played for Oostende (Belgium), BCM Gravelines-Dunkerque (France), Valencia (Spain), Tianjin (China) and Fujian (China). Buycks has made a couple of appearances in the NBA as well. If the name is starting to sound familiar, it may be from when he shattered Gary Harris’ ankles back in 2015. The journeyman could be returning to the States soon, as the Knicks have expressed interest in signing Buycks after seeing him tear it up this summer. A lot of people look at Summer League as a chance to see their team’s recent draftee, but we tend to forget that others are out there fighting for a job as well. Good for you, Dwight. San Antonio doesn’t need lottery picks to get good players. 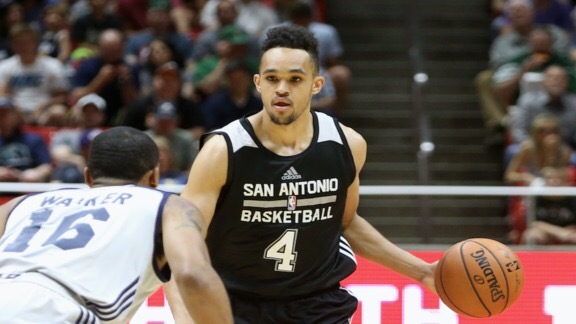 After going undrafted in the 2016 draft, Forbes signed with the Spurs and spent most of the season with their development team, the Austin Spurs. The former Michigan State guard dazzled in Utah, averaging a tournament-high 21.3 points in three games. His best outing came against Boston, where he dropped 31 points in only 29 minutes. Forbes got it done from everywhere on the court, shooting 6-for-8 from behind the arc and aggressively finishing at the rim. It’s difficult to say just how big of a role Forbes can expect in San Antonio next season, though. Dejounte Murray is the presumed favorite to take over the starting gig once Tony Parker calls hangs it up for good, and the re-signing of Patty Mills to a four-year deal doesn’t help either. Regardless of all that, though, there’s no denying that Forbes can play. 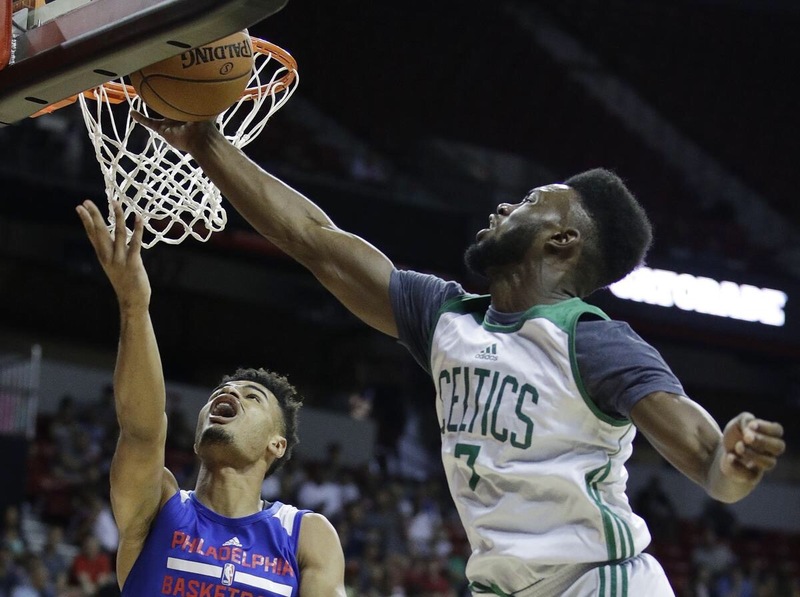 People around the league were scratching their heads when the Celtics drafted Jaylen Brown with the No. 3 overall pick in the 2016 draft. The 19-year old guard out of California was undoubtedly talented, but scouts questioned both his shooting and his ball control. Brown showed flashes of potential in a limited role this past season, averaging 6.6 points in 17.2 minutes with the Celtics. Those numbers ballooned in this year’s Summer League in Utah, where he averaged 17.5 points and 10.5 rebounds in the two games he played. Brown especially shined against the 76ers, recording 29 points and 13 rebounds in the win. He repeatedly displayed his explosiveness at the rim, including a viscous slam in the second quarter. Brown will find himself fighting for minutes on a Boston team that’s loaded with talent, but the departure of Avery Bradley will make it easier on him. It’ll be interesting to see if he can carry this Summer League swagger into the regular season. 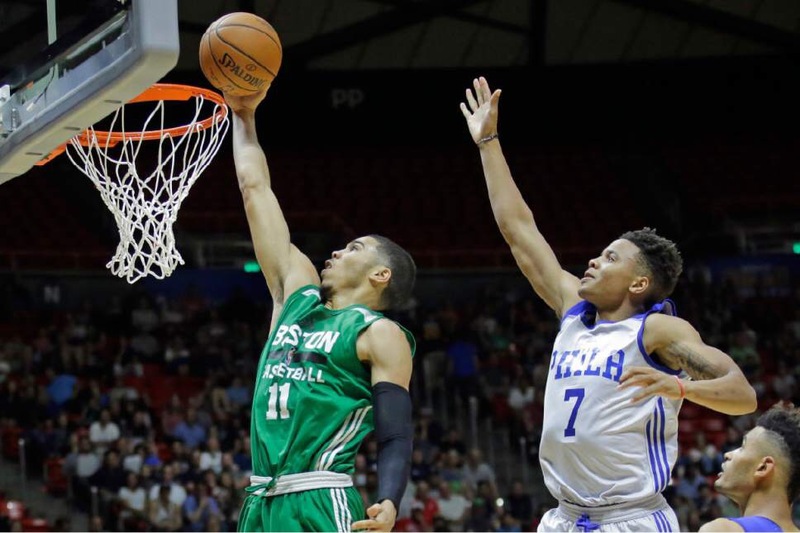 Tatum lit up the Summer League in Utah, averaging 18.7 points and 9.7 rebounds in three games. The third overall pick out of Duke displayed an array of skills, drilling threes and sinking some sweet fade away shots in the paint. Tatum had a well-rounded game against Philadelphia, contributing 21 points, seven rebounds and five steals in the win. Defenders threw everything they had at him, but the young Celtic answered displayed a veteran-like level of composure. The 19-year-old rookie is already a professional scorer, and his 6-foot-8, 205-pound body makes him the most NBA-ready prospect out of the draft. Although he still needs to improve on his defense, there’s no denying Tatum’s incredibly high ceiling. White didn’t dominate the Summer League quite like Forbes did. The 29th overall pick had a rough couple of outings in Utah, averaging just 8.7 points on 31 percent shooting in three games. But it wasn’t all bad news for the 23-year-old rookie out of Colorado-Colorado Springs. He did display a high basketball IQ and a decent shooting stroke, and his six-foot-five size could present mismatches at the point guard spot. 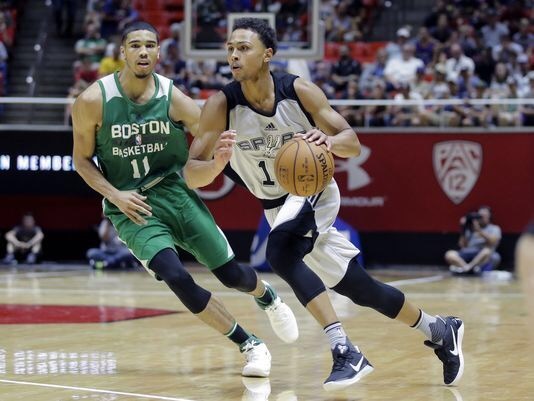 White’s game doesn’t capture your attention quite like fellow guards Dejounte Murray or Bryn Forbes, and it’s safe to say that he’ll spend most of the season in the D-League. But who knows, maybe the process will pay off in the long run. Speaking of the process, Philadelphia finally cashed out on years of pain and mediocracy with Fultz. The former Washington guard and No. 1 overall pick dazzled in Utah, averaging 20 points in the two games he played. Fultz sent fans into a frenzy when he dropped 23 points, five rebounds and five assists against the Jazz. The 19-year-old phenom made a handful of circus shots, knocking down step backs and pulling up from three with defenders right up in his jersey. It was an impressive pair of games, and the 76ers have emerged as one of the more promising teams for the next decade. Health will of course be key, but Fultz, Joel Embiid and Ben Simmons look poised to take the league by storm. The Showtime fever is back in Los Angeles, and it’s all thanks to Lonzo Ball. The second overall pick struggled to get his shots to fall initially, but his miraculous assists overshadowed that. It all came together against Philadelphia, though, as Ball stuffed the stat sheets, recording 36 points, 11 assists, eight rebounds and five steals in 36 minutes. Ball averaged 16.3 points, 9.3 assists and 7.7 rebounds in the six games he played. 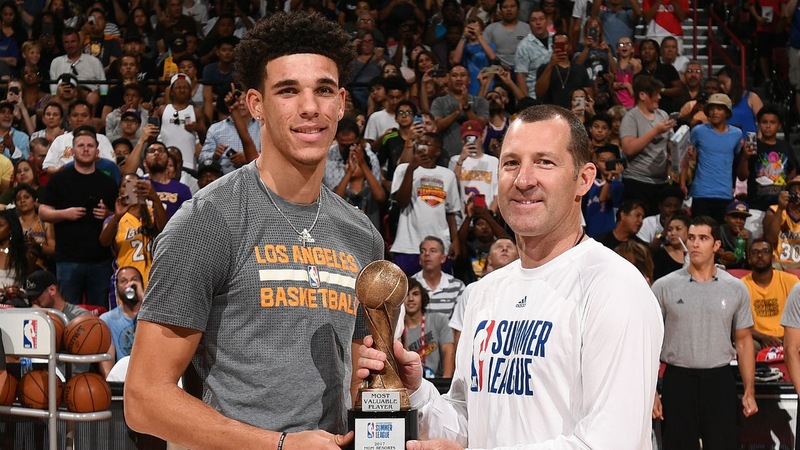 The strong performance earned him Summer League MVP honors and a spot on the All-NBA Summer League First Team. Although he only shot 38 percent from the field, there’s no denying his ability to lead and make his teammates better as well. Ball recorded double-digit assists in four of his six games – a Summer League record. The former UCLA guard did miss the championship game due to a calf strain, but the decision to keep him out appeared to just be precautionary. Expectations are quickly rising in Los Angeles, and the Ball era looks to be promising. Four guards were picked ahead of Dennis Smith Jr. in the 2017 NBA Draft. The North Carolina State product fell to the ninth pick, where Dallas gladly selected him. Scouts questioned Smith’s size and motor, but the 19-year-old rookie played like a star in Vegas, averaging 17.2 points, 4.8 rebounds, 4.2 assists and 2.2 steals in six games. Smith showed off an elite level of explosiveness at the rim, finishing with powerful dunks that brought the crowd to its feet. Smith’s gravity-defying dunks and seemingly endless repertoire of moves at the rim make him one of the more exciting players out of this year’s draft. 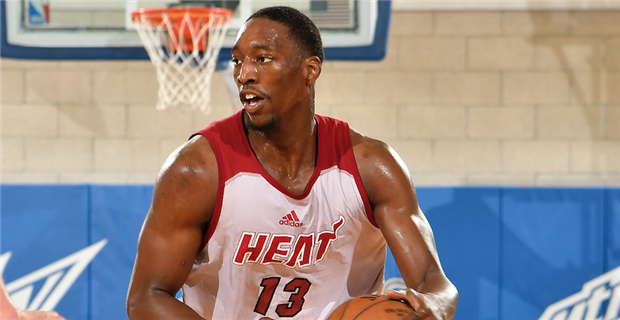 He was also named to the All-NBA Summer League First Team. 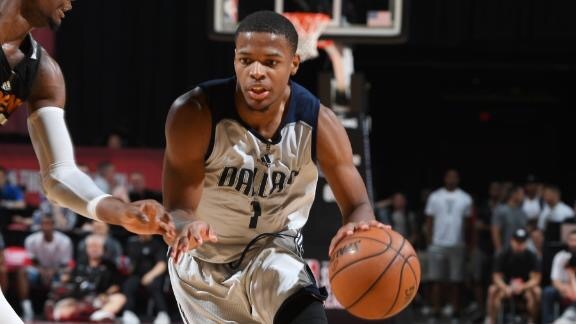 Dallas has a hole to fill at the point guard spot, and you can expect to see Smith make an immediate impact on the court. The Jazz traded Trey Lyles and the 24th overall pick (Tyler Lydon) for the rights to Denver’s 13th overall pick. That selection turned out to be Donovan Mitchell, a volume scorer out of Louisville. Mitchell didn’t waste any time making his presence known in Vegas, averaging a Summer-League-best 28 points in the two games he played. The 20-year-old highlight machine erupted for 37 points against Memphis, scoring at will against a helpless Grizzlies squad. Donovan Mitchell dropped 37 PTS for the @utahjazz. But what stood out the most was Mitchell’s stifling defense. The former Cardinal recorded eight steals in the OT loss against Memphis. With the departure of star forward Gordon Hayward and veteran guard George Hill, the Jazz need scorers. Hayward and Hill combined for 39 points per game in Utah, and Mitchell’s knack for scoring in a hurry could help fill that void. It’s early, but the Jazz seem to have their hands on a potential Rookie of the Year dark horse. 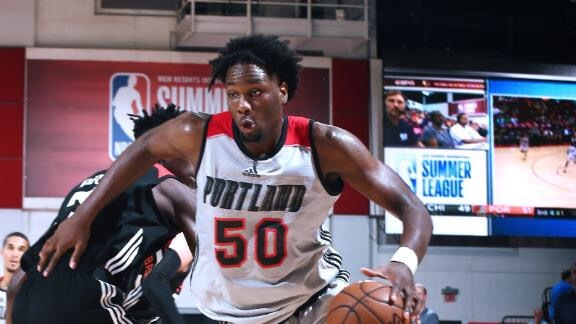 One of the bigger surprises in Vegas was the excellent play of Portland’s Caleb Swanigan. The 26th overall pick out of Purdue dominated on the boards despite his 6-foot-9 frame. Swanigan averaged 16.1 points and 10.6 boards in eight games, enough to earn him a spot on the All-NBA Summer League First Team. The 20-year-old tank even carried the Trailblazers all the way to the championship game against the Lakers. Although his team came up short, Swanigan totaled 25 points and 12 rebounds in his final outing. Swanigan’s size will always be a concern for the young power forward, but his brute strength still makes him a threat on the boards. He’ll likely assume a backup role to Jusuf Nurkic in Portland, and we’ll have to wait and see if he can cash in when given the chance to get on the court. 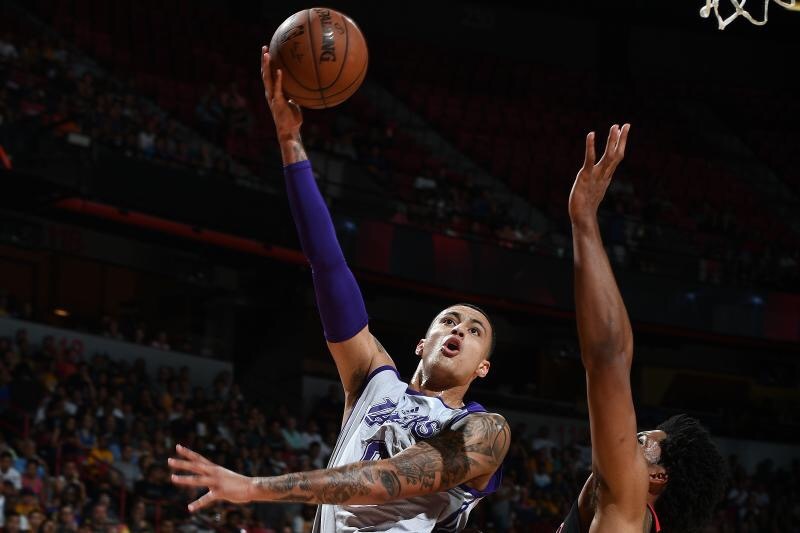 The hype surrounding Lonzo Ball is real in Laker Land, but that didn’t stop Kyle Kuzma from piecing together an impressive run in Vegas. The 6-foot-9 power forward dominated the field, averaging 21.9 points and 6.4 rebounds in seven games. Perhaps what most impressed was his shooting. 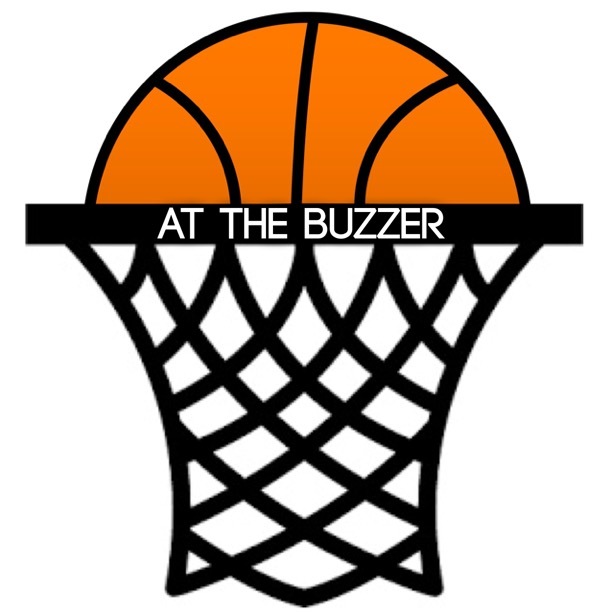 The former Utah forward shot a miraculous 51.4 percent from the field, and with Ball out for the championship game, Kuzma led the team with 30 points and 10 rebounds. The strong outing even earned him the Championship MVP award. Not much was expected out of the 27th overall pick, but Kuzma has quickly become a promising prospect on a team filled with young talent. He’s an off-the-ball scorer capable of exploiting mismatches in the paint due to his size and strength. It’s difficult to say just how big of a role we can expect from the 21-year-old rookie this upcoming season, though, especially with Julius Randle still in the mix. It is worth noting that Lakers GM Magic Johnson was heard telling Kuzma after the championship game to “be ready,” so look into that as much as you want. Either way, you can’t have too much talent on your roster, and Kuzma will fit in quite well alongside Ball and others.